A survey of Canadian business leaders says they are optimistic about the future, with about three-quarters of the respondents expecting higher profits by 2015. Find out why. 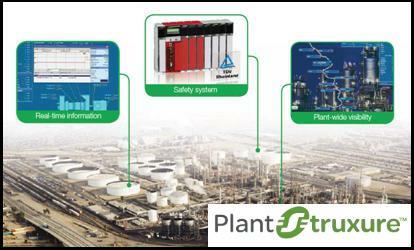 PlantStruxure™ is a collaborative system that allows industrial and infrastructure companies meet their automation needs and at the same time deliver on growing energy management requirements. In a single environment, measured energy and process data can be analyzed and used to yield a holistically optimized plant. Solutions are not solely based on technology but also the expertise behind the technology. At Schneider Electric we have been delivering solutions for manufacturing and process industries for over 40 years. We understand what is needed to help you meet your goals your goals in automation and energy management. If you're looking for a way to enhance the safety of your people, your plant, and your critical processes, look no further. PlantStruxure™ architecture is the foundation you need. Download our FREE PlantStruxure brochure and be entered to WIN an iPad2!